With the successful opening of its first-ever overseas outlet, Unagiya Ichinoji by Miyagawa Honten at Robertson Quay, the restaurant has opened its second outlet - Unagiya Ichinoji Dining at Eat At Seven, Suntec City Mall. The new outlet offers an expanded menu with more selections. There are two items that are exclusively available at Unagiya Ichinoji Dining. The XL Unagi Bara Chirashi ($62.80) and Unagi Gozen ($46.80). 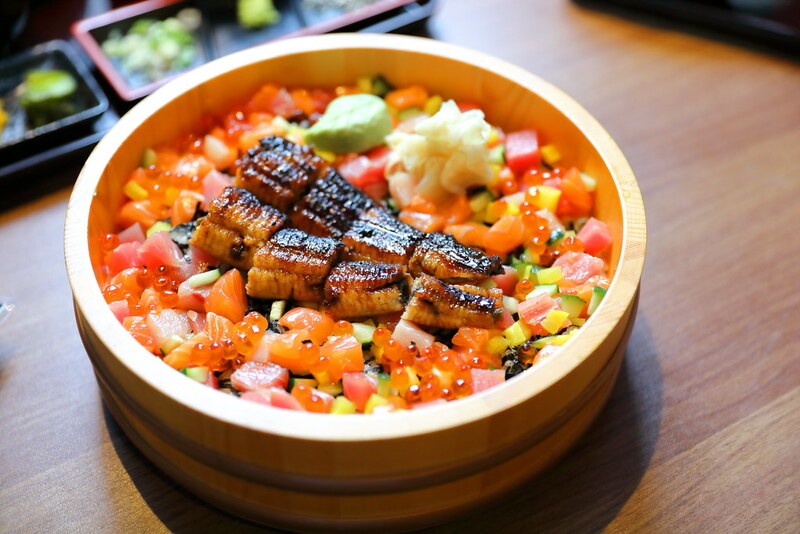 The XL Unagi Bara Chirashi comprises of tuna, salmon, yellow tail, scallops, takuan, cucumber, eggs, seaweed and the restaurant's grilled eel, layer on top the vinegary sushi rice. The portion is huge, it probably can serve 4 to 6 pax. While the serving is a delightful sight with vibrant colour, I find the topping is slightly too little to go with the amount of rice in the bucket. 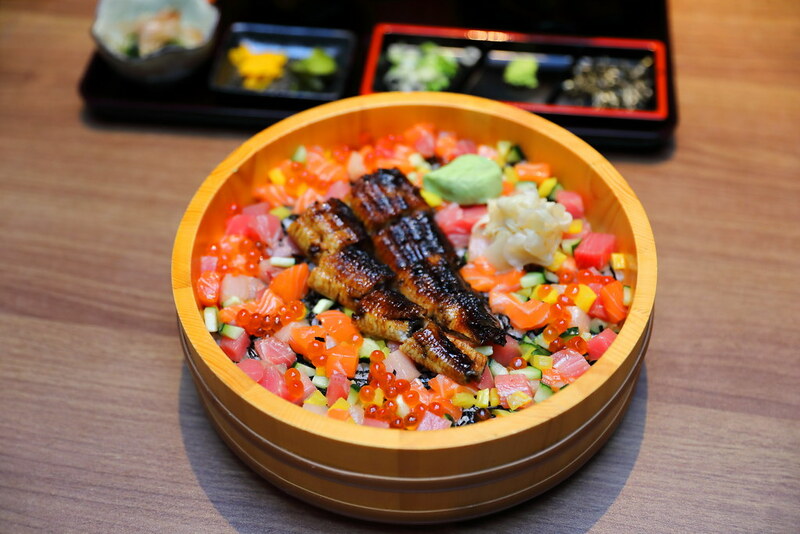 For those that likes variety, then the Unagi Gozen will be the preferred choice. 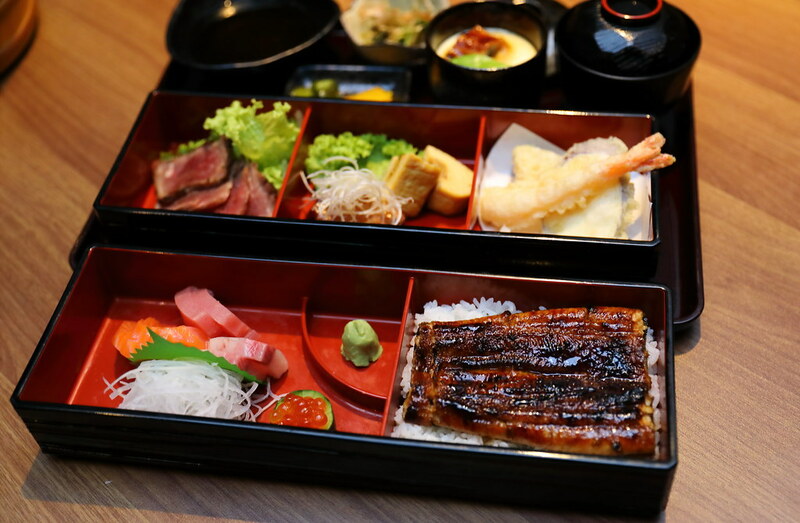 Served in a bento box, it variety consists of unagi with rice, A1-grade Hokkaido wagyu beef, braised Iberico pork belly, tempura prawn, tempura pumpkin, sashimi tuna, yellow tail and ikura, miso soup and warabi mochi. This is a meal by itself. If you are just after the unagi, then I would recommend the original Hitsumabushi ($29.80). For those not familiar, there are three ways of appreciating this. First is to have it on its own to relish the eel's flavour. Second is to have it together with the seaweed, wasabi and green onion for an addition lift in flavour. Lastly, which is also my favourite way is to pour the clear dashi and mixed it together with the condiments. 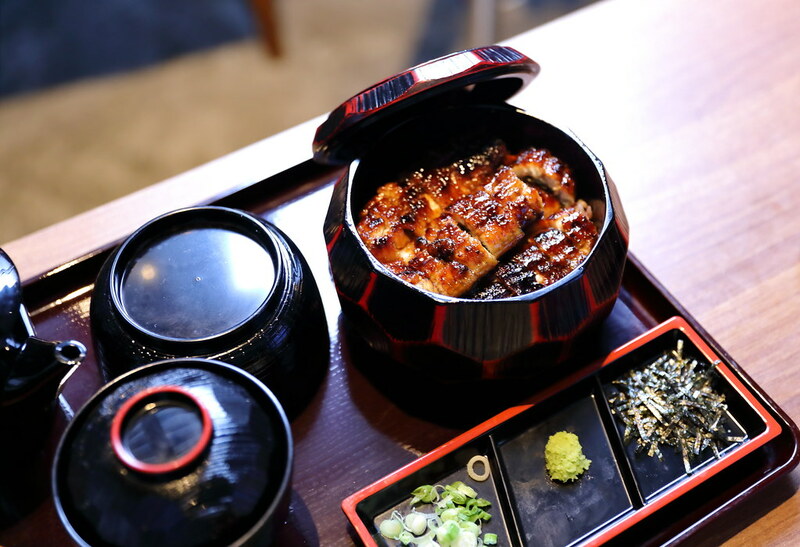 When Unagiya Ichinoji first opened in Singapore, there were some negative reviews in the quality of the unagi used. The management has since changed it supplier and the eel I had is more meaty and fatty now.